14lbs. 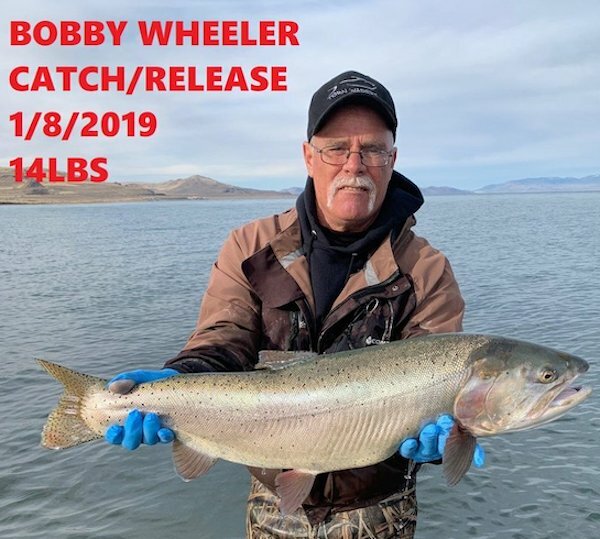 catch and release Cutthroat for Bobby Wheeler. 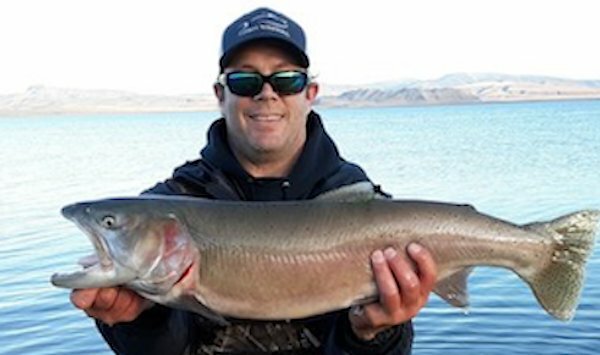 The staff from Crosby Lodge checked in today with an update from Pyramid Lake in Sutcliffe, NV. 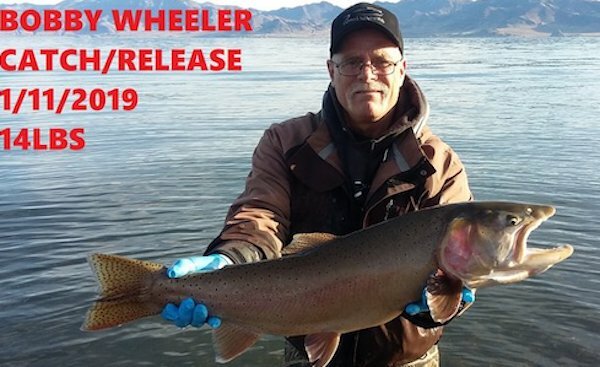 Check out Bobby Wheeler Cutthroat catch and release at Pyramid Lake on January 11, 2019.